The last reservation of this item will conclude on July 9. For rentals that require shipping or a pickup at a non-headquarter location, please select a later date for your arrival. Headquarter offices are the only locations that can accept a same-day reservation, as transit time is not calculated in this date. The Redrock Micro Follow Focus is a classic accessory for film and commercial work. Pull focus smoothly with the help of a backlash dial, integrated and adjustable hard stops between 2 focus points, and an all-metal accessory port that allows for the addition of a focus whip or speed crank (not included). The standard 0.8 film pitch drive gear of this follow focus is compatible with cine lenses, which come with their own toothed rings built-in (cine lenses rentable separately). You can also pair this follow focus with a number of still lenses thanks to the included gear rings (see Notes tab for details). The Redrock Micro Follow Focus is ideal for those new to pull focusing, shooters using DSLR for their video projects, budget-minded filmmakers, or those looking to add on to their Redrock setups. 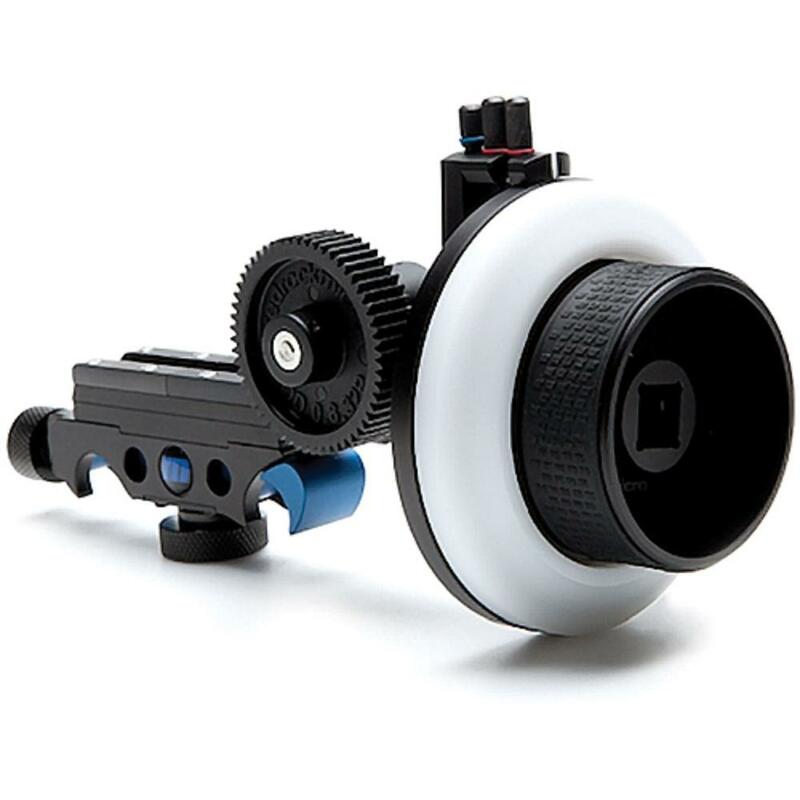 • This follow focus unit includes a set of 3 micro-focus rings that fit a variety of lenses. The different sizes are marked as A, B, and C. The rings go directly around the focus ring of your lens. You may want to rent additional sets of these rings to go around all of your lenses ahead of time for quick follow-focus lens swapping. Additional rings can be added to this rental upon checkout for a fee. By default, this kit includes 1 of A (180mm-220mm lens circumference), B (211mm-250mm lens circumference), and C (241mm-280mm lens circumference). • There is a D size ring (280mm-320mm lens circumference) that is not included with this kit. It is for larger lenses, such as the Canon 100-400mm. You may choose to have this ring included with this rental upon checkout for a fee. • New to follow focusing? Learn more in Follow that Focus Like a Pro.